I went out fishing with two of my buddies from high school for a few hours on Friday. 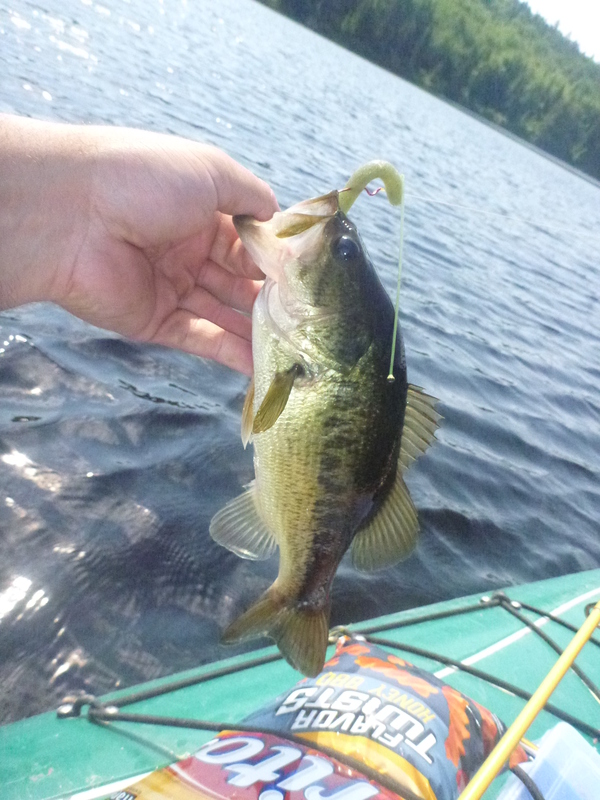 We were on the road to a remote pond that has a substantial number of smaller bass shortly after 7am. On the way, we swung by my camp to grab my two other kayaks, then we made the drive in on the class 4 road. After the short portage to the waters edge, we loaded up the boats and started pounding on the bass. We fished for about 3 hours, making our way around the perimeter two times. Being a small pond, the first lap is basically used to get stable in the boat and get an idea where the fish are holding. 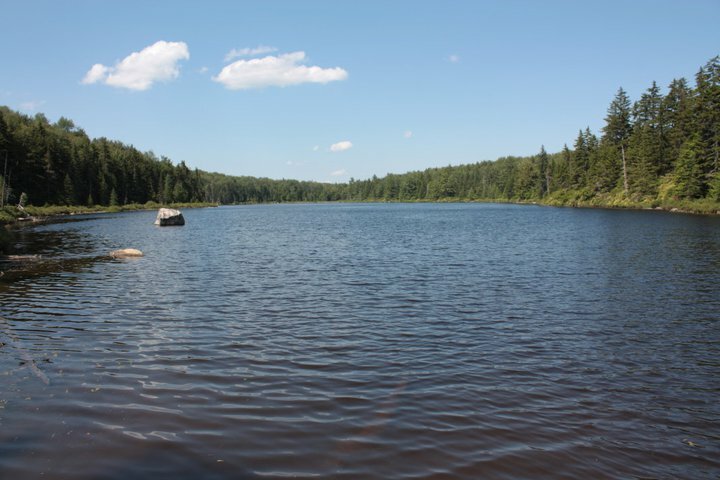 The perimeter is shallow, sandy, and in places holds lily pads and green slime but the most difficult aspect of fishing this lake is the loons. As you can see on our YouTube page, I put together a short video with a few clips of some of the close encounters we had while on the water. The loons were swimming around and under our kayaks for well over an hour. After having the loons chase our baits to the boat a few times, we became selective on when we would make casts and when we would move along trying to get away. They were relentless though! Mainly we fished Gary Yamamoto 4″ senkos but we also had some luck fishing “Live” Baby Shad by Lake Fork Trophy Lures. The LFT “Live” Baby Shad were as usual fished under a bobber with a quick and twitching retrieve. This method proved to be fairly successful but it was tough not to get snagged with the woody debris and vegetation growing up everywhere. The other method was to fish a senko quickly either top water if possible over the weeds or in open water, wait on a three count and fish it in twitching constantly. The fish were active all day surfacing across the pond. Check out this video of a few of the fish that I caught.